The "Silver Eagles" of VMFA-115 fly the F/A-18A Hornet from MCAS Beaufort, SC. They flew the F-4 Phantoms under MAG-31 during Vietnam, then later transitioned to the A-model Hornets in 1985. They routinely deploy to MCAS Iwakuni, Japan. This is the "BACKPATCH" that AV8RSTUFF created for them and it comes in three pieces. The top piece says "SILVER EAGLES", the bottom rocker says "BEAUFORT, SC" and the middle patch is the HUGE bird with their insignia and aircraft info.....These patches do not come with velcro already attached as it's designed to be sewn on the back of a jacket...AWESOME PATCH!!!! The "Silver Eagles" of VMFA-115 fly the F/A-18A Hornet from MCAS Beaufort, SC. They flew the F-4 Phantoms under MAG-31 during Vietnam, then later transitioned to the A-model Hornets in 1985. They routinely deploy to MCAS Iwakuni, Japan. This is the somewhat "subdued" version of the squadron patch. This patch does not come with velcro already attached. 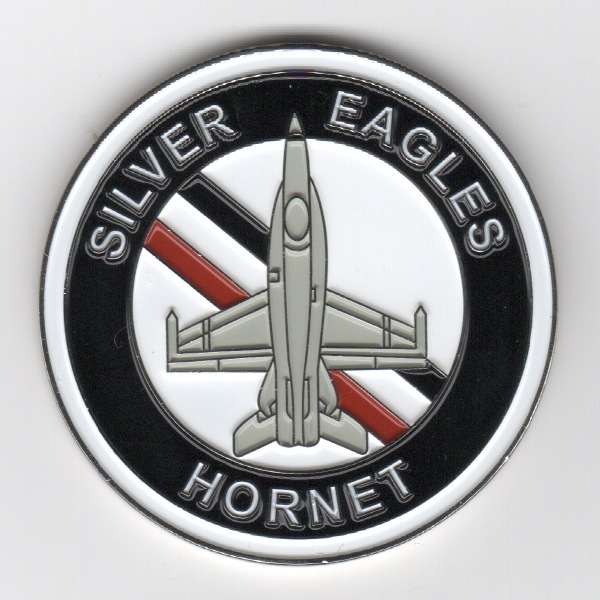 This is another AV8RSTUFF creation for the VMFA-115 'Silver Eagles' of their white-bordered version (with the white eagle) on their squadron patch. The "Silver Eagles" of VMFA-115 fly the F/A-18A Hornet from MCAS Beaufort, SC. They flew the F-4 Phantoms under MAG-31 during Vietnam, then later transitioned to the A-model Hornets in 1985. They routinely deploy to MCAS Iwakuni, Japan. This patch does not come with velcro already attached. 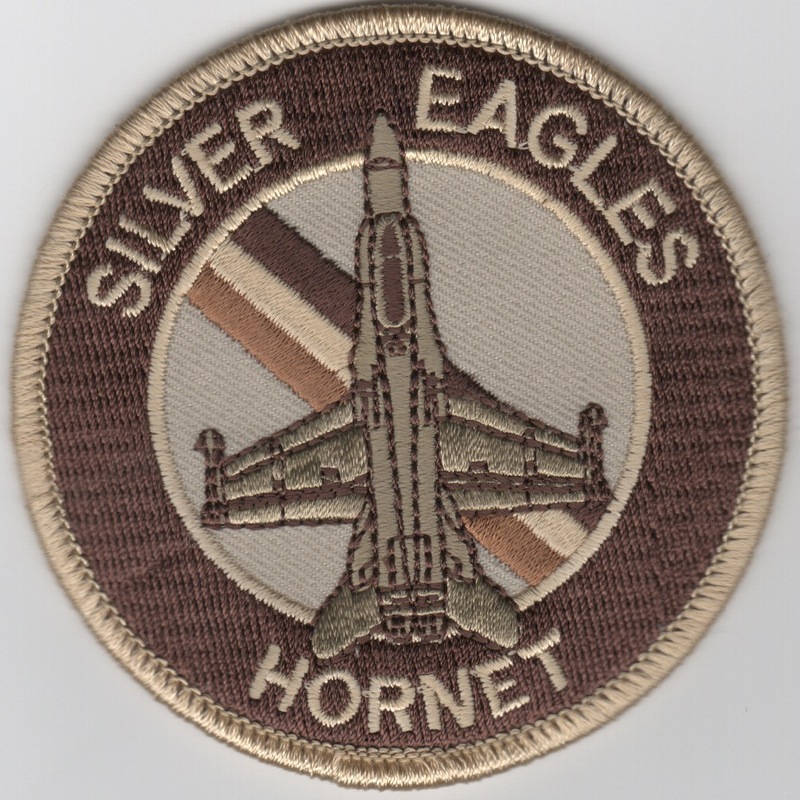 This is another AV8RSTUFF creation for the VMFA-115 'Silver Eagles' of their white-bordered version (with the GRAY eagle) on their squadron patch. The "Silver Eagles" of VMFA-115 fly the F/A-18A Hornet from MCAS Beaufort, SC. They flew the F-4 Phantoms under MAG-31 during Vietnam, then later transitioned to the A-model Hornets in 1985. They routinely deploy to MCAS Iwakuni, Japan. This patch does not come with velcro already attached. 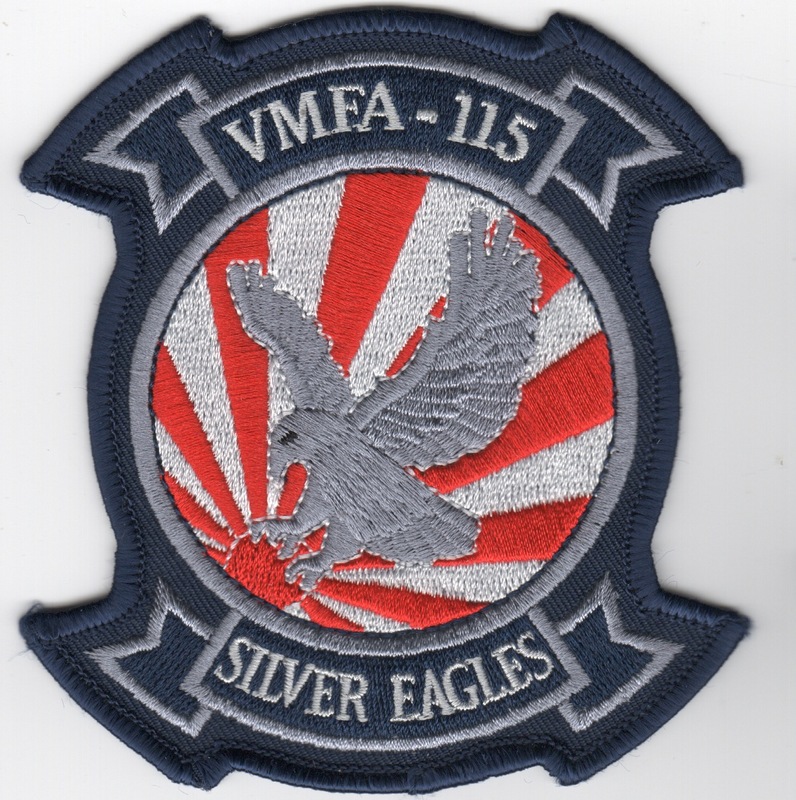 This is another AV8RSTUFF creation for the VMFA-115 'Silver Eagles' of their white-bordered version (with the GRAY eagle) on their squadron patch. The "Silver Eagles" of VMFA-115 fly the F/A-18A Hornet from MCAS Beaufort, SC. They flew the F-4 Phantoms under MAG-31 during Vietnam, then later transitioned to the A-model Hornets in 1985. They routinely deploy to MCAS Iwakuni, Japan. This patch does come with velcro already attached. 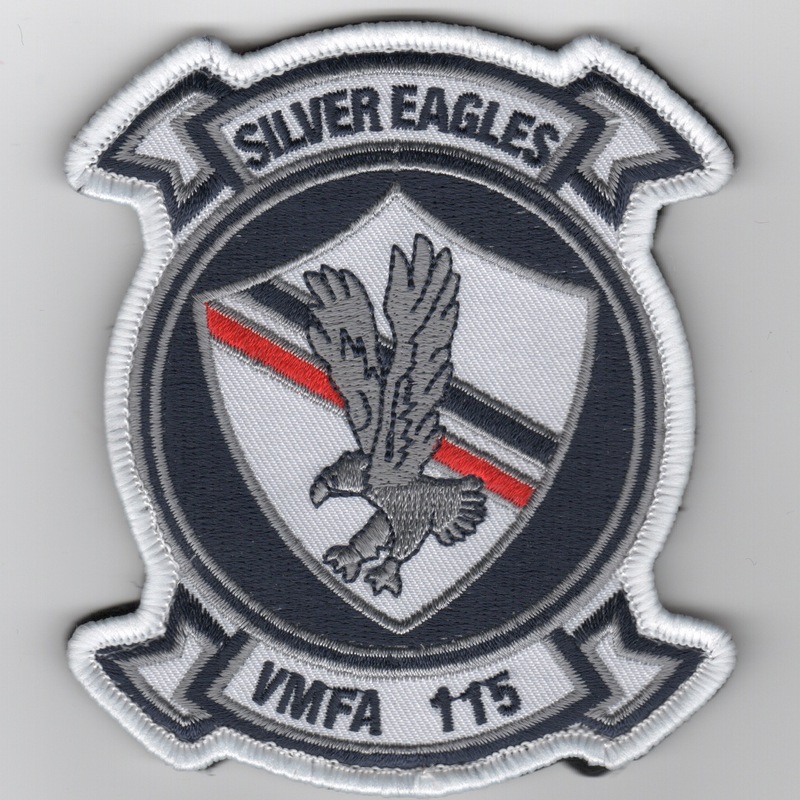 This is the desert version of the squadron patch for the VMFA-115 Silver Eagles. The "Silver Eagles" of VMFA-115 fly the F/A-18A Hornet from MCAS Beaufort, SC. They flew the F-4 Phantoms under MAG-31 during Vietnam, then later transitioned to the A-model Hornets in 1985. They routinely deploy to MCAS Iwakuni, Japan. This patch does not come with velcro already attached. 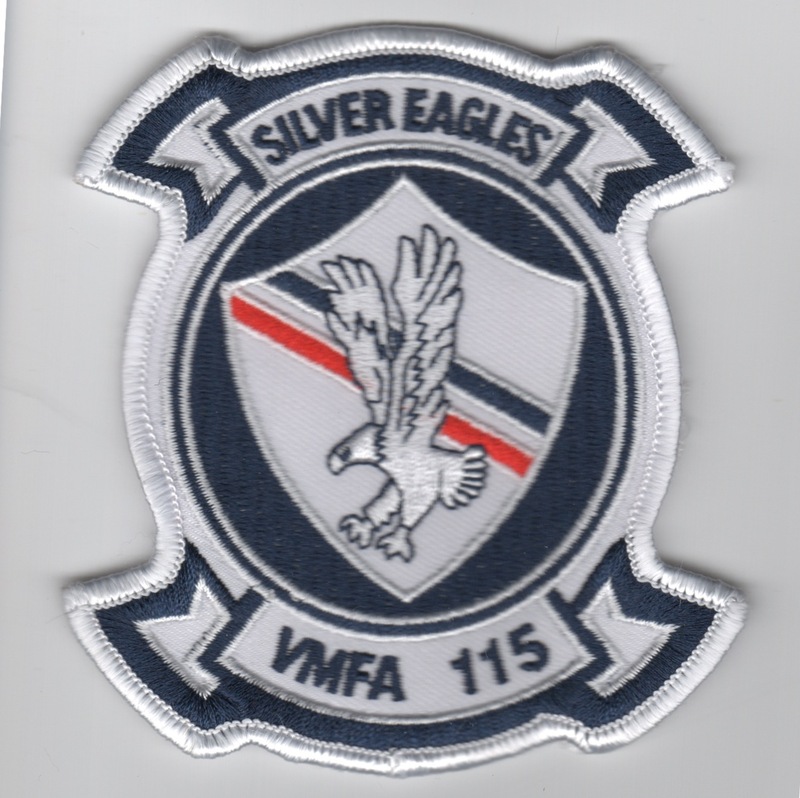 This is the dark blue version of the squadron patch used for the "Japan Det" for the VMFA-115 Silver Eagles. The "Silver Eagles" of VMFA-115 fly the F/A-18A Hornet from MCAS Beaufort, SC. They flew the F-4 Phantoms under MAG-31 during Vietnam, then later transitioned to the A-model Hornets in 1985. They routinely deploy to MCAS Iwakuni, Japan. This patch does not come with velcro already attached. The "Silver Eagles" of VMFA-115 fly the F/A-18A Hornet from MCAS Beaufort, SC. They flew the F-4 Phantoms under MAG-31 during Vietnam, then later transitioned to the A-model Hornets in 1985. They routinely deploy to MCAS Iwakuni, Japan. 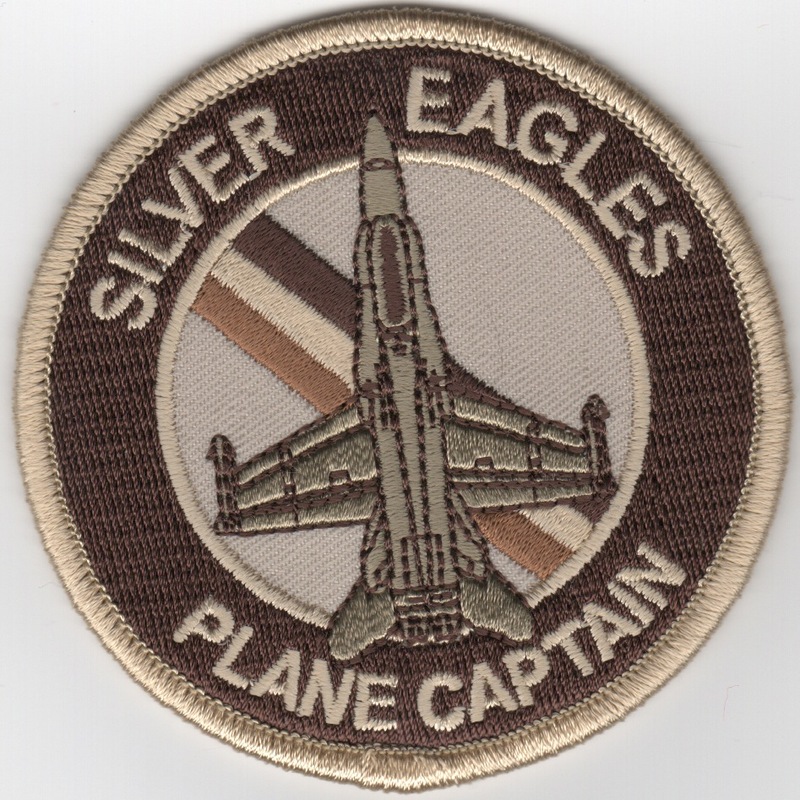 This is the white version of their aircraft patch worn on the flight suit sleeve. This patch does not come with velcro already attached. The "Silver Eagles" of VMFA-115 fly the F/A-18A Hornet from MCAS Beaufort, SC. They flew the F-4 Phantoms under MAG-31 during Vietnam, then later transitioned to the A-model Hornets in 1985. They routinely deploy to MCAS Iwakuni, Japan. This is the desert version of their aircraft patch worn on the flight suit sleeve. This patch does not come with velcro already attached. The "Silver Eagles" of VMFA-115 fly the F/A-18A Hornet from MCAS Beaufort, SC. They flew the F-4 Phantoms under MAG-31 during Vietnam, then later transitioned to the A-model Hornets in 1985. They routinely deploy to MCAS Iwakuni, Japan. 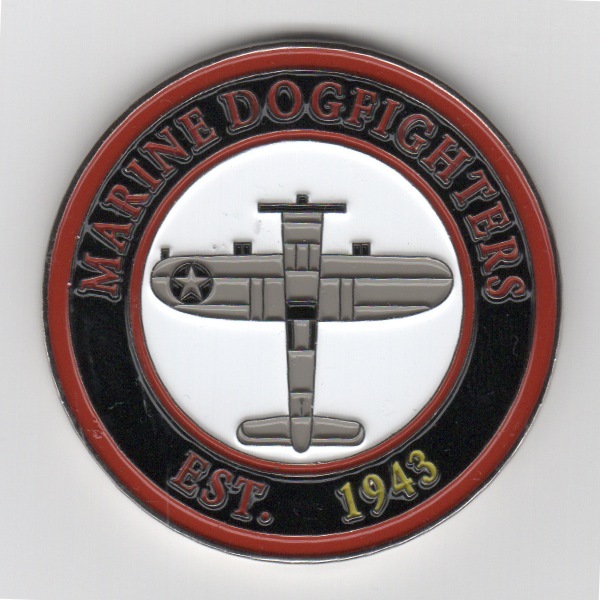 This is the red version of their aircraft patch worn on the flight suit sleeve. The "Silver Eagles" of VMFA-115 fly the F/A-18A Hornet from MCAS Beaufort, SC. They flew the F-4 Phantoms under MAG-31 during Vietnam, then later transitioned to the A-model Hornets in 1985. They routinely deploy to MCAS Iwakuni, Japan. 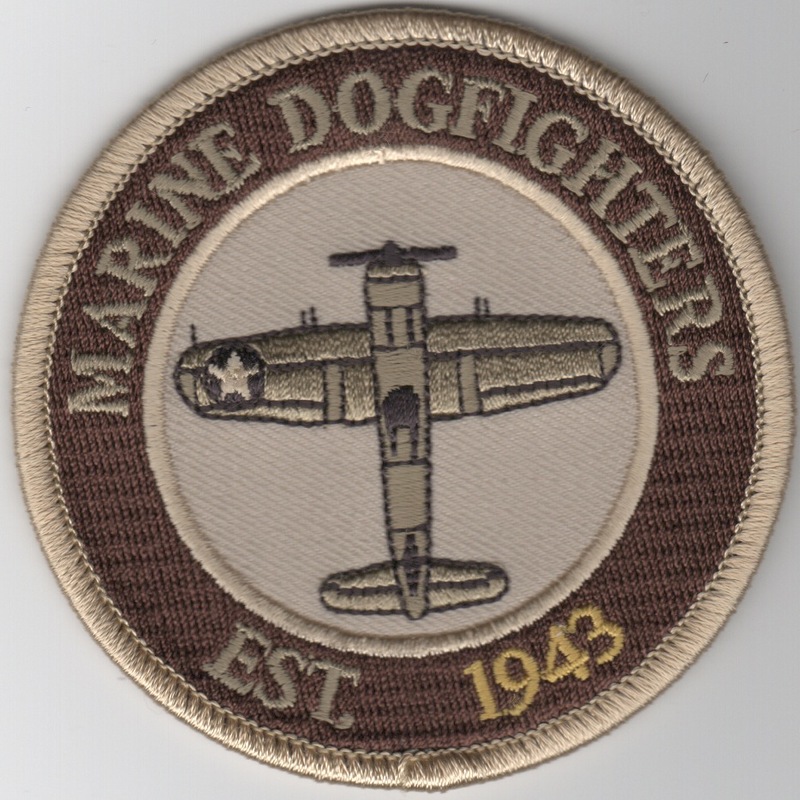 This is the 60th anniversary commemmorative patch. The "Silver Eagles" of VMFA-115 fly the F/A-18A Hornet from MCAS Beaufort, SC. They flew the F-4 Phantoms under MAG-31 during Vietnam, then later transitioned to the A-model Hornets in 1985. They routinely deploy to MCAS Iwakuni, Japan. This is the desert version of their 60th anniversary commemmorative patch. The "Silver Eagles" of VMFA-115 fly the F/A-18A Hornet from MCAS Beaufort, SC. They flew the F-4 Phantoms under MAG-31 during Vietnam, then later transitioned to the A-model Hornets in 1985. They routinely deploy to MCAS Iwakuni, Japan. 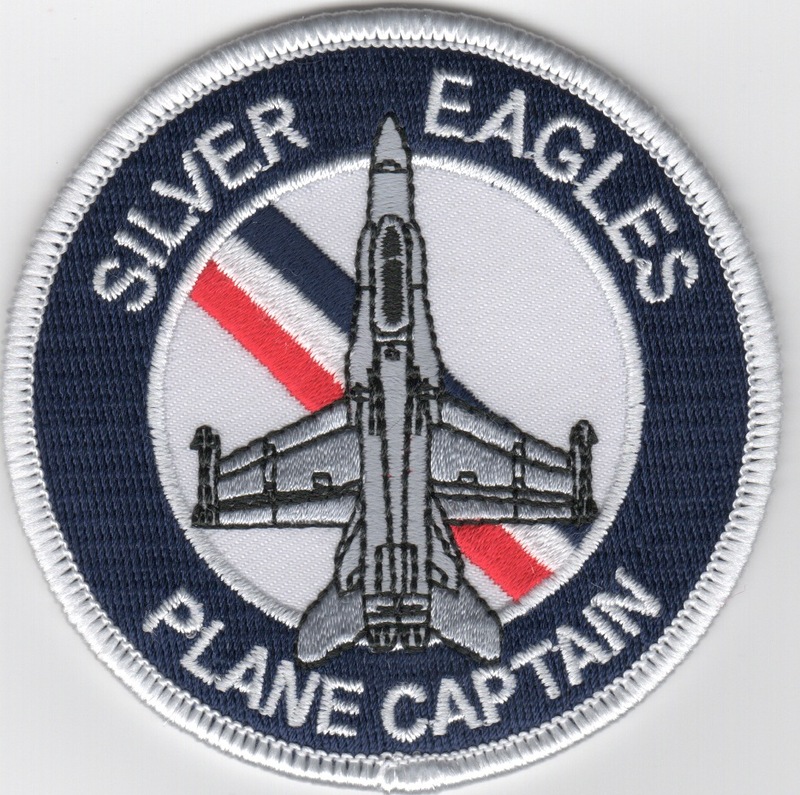 This is the white bullet version of their "Plane Captain" patch they just made. The "Silver Eagles" of VMFA-115 fly the F/A-18A Hornet from MCAS Beaufort, SC. They flew the F-4 Phantoms under MAG-31 during Vietnam, then later transitioned to the A-model Hornets in 1985. They routinely deploy to MCAS Iwakuni, Japan. This is the desert bullet version of their "Plane Captain" patch they just made. The "Silver Eagles" of VMFA-115 fly the F/A-18A Hornet from MCAS Beaufort, SC. They flew the F-4 Phantoms under MAG-31 during Vietnam, then later transitioned to the A-model Hornets in 1985. They routinely deploy to MCAS Iwakuni, Japan. This is the red-bordered version of their bullet patch for the CDQAR division. This patch comes with velcro attached. The "Silver Eagles" of VMFA-115 fly the F/A-18A Hornet from MCAS Beaufort, SC. They flew the F-4 Phantoms under MAG-31 during Vietnam, then later transitioned to the A-model Hornets in 1985. They routinely deploy to MCAS Iwakuni, Japan. 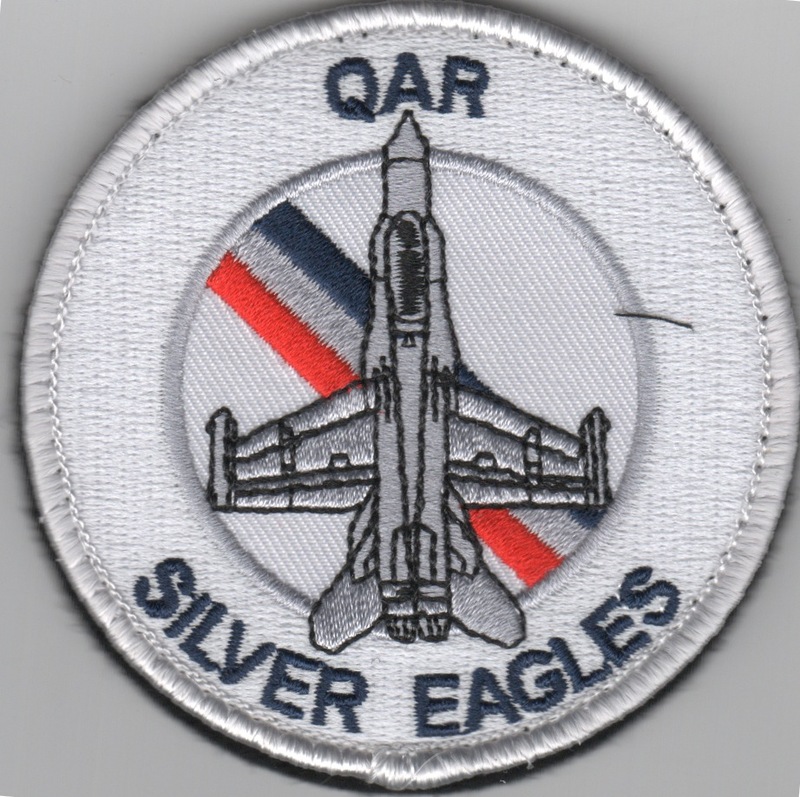 This is the white-bordered version of their bullet patch for the QAR division. This patch comes with velcro attached. The "Silver Eagles" of VMFA-115 fly the F/A-18A Hornet from MCAS Beaufort, SC. They flew the F-4 Phantoms under MAG-31 during Vietnam, then later transitioned to the A-model Hornets in 1985. They routinely deploy to MCAS Iwakuni, Japan. 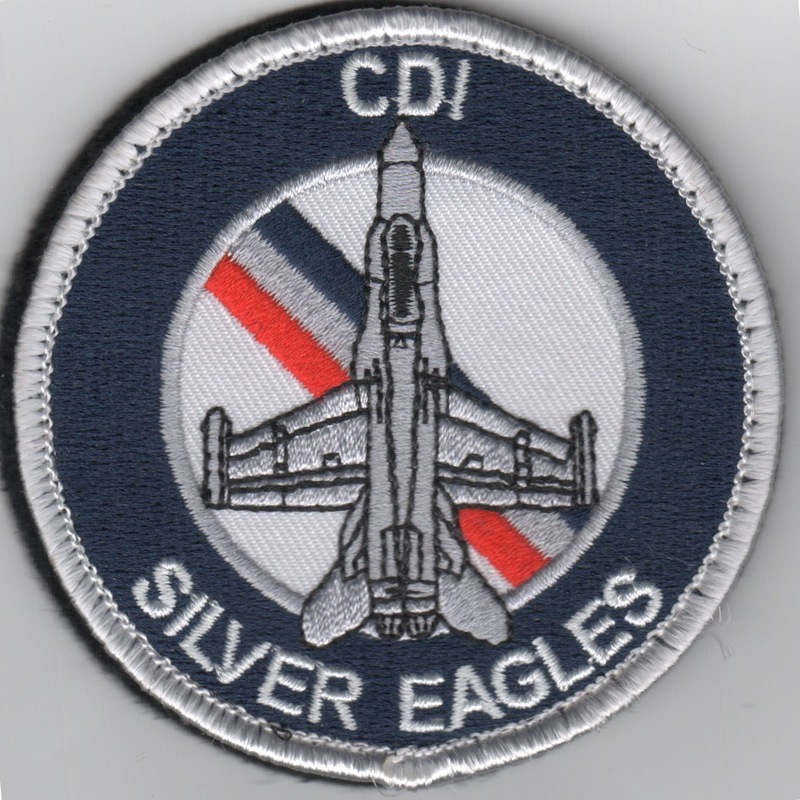 This is the blue-bordered version of their bullet patch for the CDI division. This patch comes with velcro attached. The "Silver Eagles" of VMFA-115 fly the F/A-18A Hornet from MCAS Beaufort, SC. They flew the F-4 Phantoms under MAG-31 during Vietnam, then later transitioned to the A-model Hornets in 1985. They routinely deploy to MCAS Iwakuni, Japan. 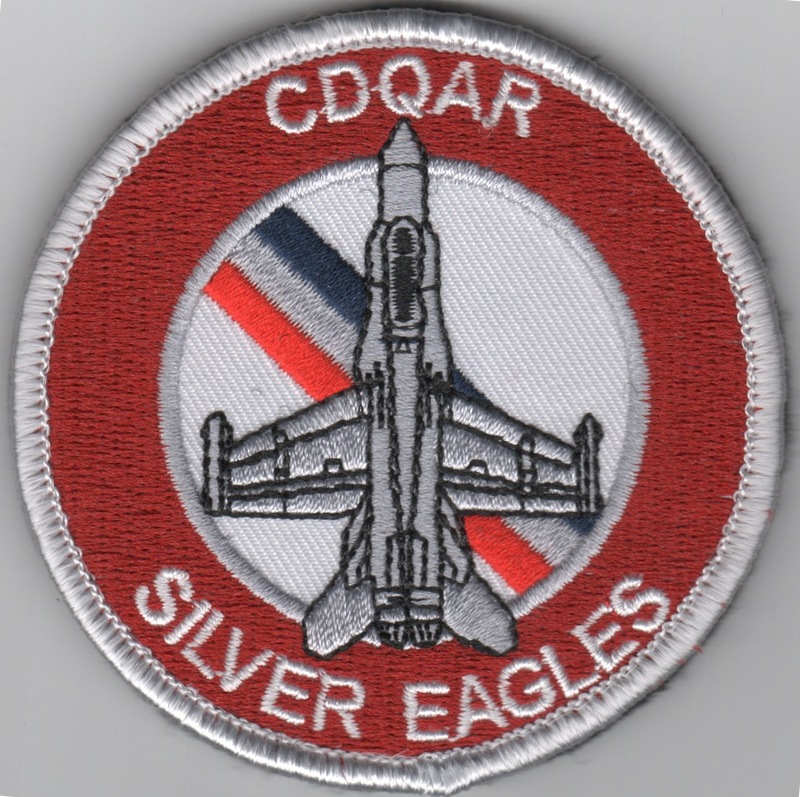 Use this link for the set of their CDQAR/QAR/CDI division bullet patches. This patches come with velcro attached. The "Silver Eagles" of VMFA-115 fly the F/A-18A Hornet from MCAS Beaufort, SC. They flew the F-4 Phantoms under MAG-31 during Vietnam, then later transitioned to the A-model Hornets in 1985. They routinely deploy to MCAS Iwakuni, Japan. This is the "Plane Captain" patch they just made. 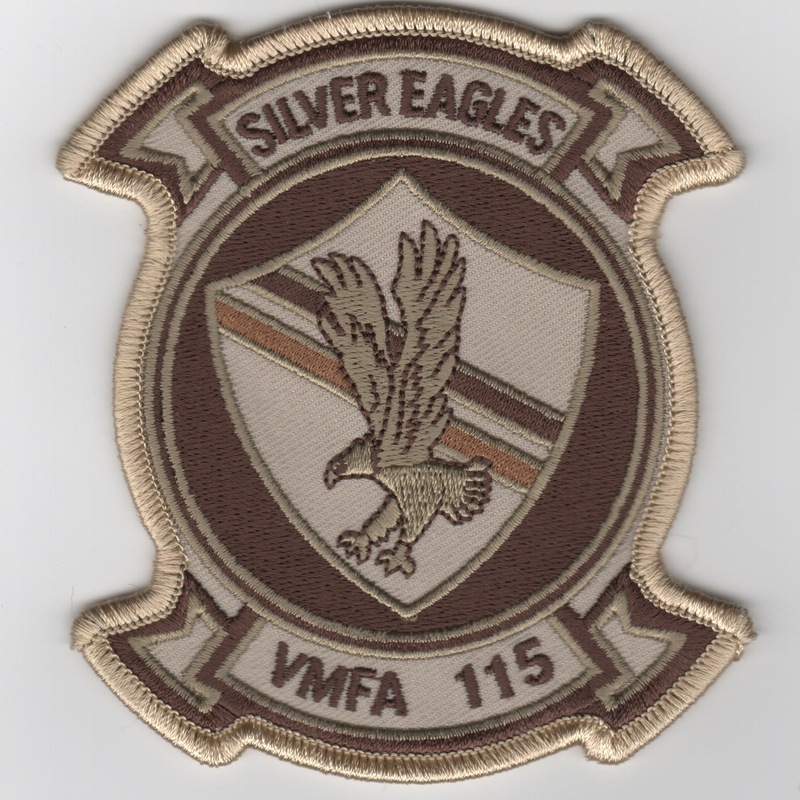 This is a reproduction of the VMF-115 Friday patch that they wore years ago for VMFA-115. In 2000, the Marines from VMFA-115 (Silver Eagles) were deployed to participate in Combined Arms Exercise (CAEX) 9/10. 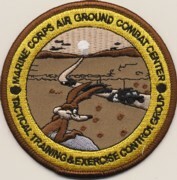 This patch was commissioned to wear on the right sleeve of the maintenance coveralls/flightsuits - in desert colors. The patch shows Wiley E. Coyote watching a caravan of military vehicles in the desert. Across the top it says, "Marine Corps Air Ground Combat Center" and across the bottom it says, "Tactical Training&Exercise Control Group" Pretty sweet patch. This patch does not come with velcro attached. Homepage | Order VMFA-115 Patches!